On 4 August, Belarusian president Aliaksandr Lukashenka met with journalists of non-government media to discuss a wide range of topics. In particular he focused on the preelection campaign and the conflict in Ukraine, stressing that Russia will not go to war with Belarus and no Russian planes operate on Belarusian territory. This paper examines two aspects of the president’s policies: responses to events in Ukraine and his position on the economic downturn. It posits that the links between the two events form a pivotal part of his platform and that he exploits the ramifications of the conflict to explain and trivialise the fall in living standards. 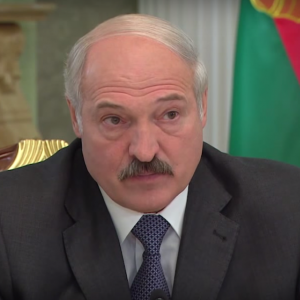 Belarusian president faces two overriding concerns during the approach to the new presidential election campaign: the conflict in Ukraine and the economic downturn in the country. Opposition candidates could highlight both issues in their platforms. 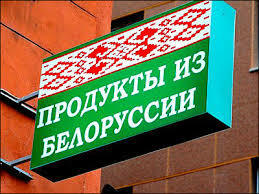 Registration of candidates starts only after 21 August, but already the president’s speeches concentrate on the impact of the war on Belarus and the need to avoid any form of commitment. Lukashenka uses the events in Ukraine as a negative example, periodically frightening Belarusian residents with the theory that the Maidan civil uprising represents the equivalent of a protest in “the square” (signifying October or Independence Square, the location of previous demonstrations after elections) and could lead to war. On this question, the president declared in the interview that he opposes any conflict in Ukraine, Russian or otherwise. He reiterated that no attack on Ukraine will come from Belarus and has informed Ukrainian Parliamentary Speaker Oleksander Turchynov of the same on 4 August. Still, according to surveys conducted by Andrei Vardomatsky in July 2015, 62.3% of Belarusians do not consider Russia responsible for the bloodshed in Ukraine and 63% support Russia’s position on Crimea. In a recent paper, Anton Shymanski notes that most residents of Belarus receive information from TV channels whose policies are formed mainly by the Kremlin. Virtual space in Belarus is simply part of Russian space. The perceptions of the Ukrainian leadership disseminated in Russia (neo-Nazis, Banderites, etc) enjoy widespread backing in Belarus. Thus Lukashenka faces a complex situation: he cannot remain strictly neutral with an electorate largely committed to the Russian side and believing Ukraine to be the embodiment of chaos. On the other hand, as sociologist Aleh Manayeu of the National Institute for Social-Economic and Political Studies (IISEPS) has observed, the hierarchy of critical issues for Belarusians has changed, and in place of the former social-economic problems come problems of security and protection. Thus Lukashenka offers reassuring platitudes that no one can forget the “30 million losses” in the Second World War, and that eventually the Donbas will return to the Ukrainian fold. In the meantime, Belarusians enjoy security under his protection and avoid participation in the conflict. Despite the switch in priorities, the economic downturn persists, particularly in terms of wages and purchasing power. Gone is the past “social contract” with citizens and promises—as in 2010—of a monthly wage of $1,000 per month. That figure has now fallen to $500, and instead the president talks about job security and protection from the conflict to the south. His own role is that of a stern overseer, warning the managers of enterprises that he will regard a failure to support economic goals as an act of sabotage and use Special Services to ensure cooperation. They must maintain jobs and labour collectives, sell what they produce, and wait out the crisis. The country in the meantime must seek alternative markets and resolve most of its problems in the course of 2015. Thus official policy is one of evasion: we did not cause the economic decline and thus eventually will return to past practices. Manayeu describes public thinking as follows: “If we are living better under Lukashenka, it means that it is thanks to Lukashenka.” And if not, the fault lies elsewhere. Opinion polls conducted by the National Institute for Social-Economic and Political Studies (NISEPI), Vardomatsky (Belarusian Analytical Workroom), and others indicate that the popularity of the president is currently falling, though it stands at around 40% of respondents, falling from 45% earlier. Though perhaps a concern, it is far from the historic lows during his 21-year presidency. According to NISEPI, these were 26.5% in 2002 and 20.5% in 2011, when the world recession reached its peak in Belarus. Thus Lukashenka does not yet face serious danger. Yet his sources of support appear to be narrower than in the past, when he relied on “simple” country people and urban workers. Small and middle entrepreneurs hold different views on economic progress. They make up, together with their families about 1 million people, or roughly one quarter of the electorate. Lukashenka continues to rely on the support of state officials, the KGB, and the army, none of which have any serious economic input into the development of society. Open rifts have emerged between certain sectors. Those who want economic reforms and private businesses, clash with state bureaucrats content to remain under an “administrative-command” system. The official stance is retrogressive: one opposed to change, mild adherence to Russian-lead structures, and open to foreign loans from Russia, China, and other partners. Yet weariness with Lukashenka and concern about problems do not offset Lukashenka's advantages: the protracted conflict in Ukraine and the fear Belarusians have of becoming embroiled. Ironically his activities as a peacemaker, which produced praise from the West, are not particularly helpful to his campaign, irritating the Kremlin and lacking support of the population, which largely accepts the Russian perspective of events. The watchword remains stability, the suggested course the same as in the past; the grim alternative depicted as a replica of the mayhem taking place in Ukraine. Belarus became the primary beneficiary of the food embargo, which Russia imposed against Western nations in August 2014. In January – May 2015, Belarus supplied 916.4 thousand tons of embargoed products to Russia, a 53.5% increase over the same period in 2014. Two weeks after Russia introduced its food embargo, Howard Solomon, the minister counsellor at the US Embassy in Moscow, tweeted: "Last night, I tasted the Belarusian salmon. It reminds me of the one from Norway, but more expensive. I'll taste the Belarusian parmesan next." What really stands behind this Belarusian commercial success: the hard work of domestic producers or the inventiveness of local smugglers? Belarusian farmers, entrepreneurs and officials moved fast to take advantage of this windfall. The next day after the introduction of the embargo, Leanid Marynich, the Belarusian first deputy minister of agriculture, assured Russia of Belarus' willingness to "substitute Western countries for many food positions" calling this lucrative opportunity a "Klondike". Immediately, several European companies wanted to invest in transforming agricultural products in Belarus. Officials from Latvia, Lithuania and Poland – Belarus' EU neighbours who are affected by the embargo – came to Minsk to discuss the opportunities for joint processing and exporting of dairy products. In August 2015, President Lukashenka gave his blessing to this cooperation in his very direct style: "We must stir and seize the moment to make money… We have not made any commitments [towards the Russians] about our domestic market. We can import products from around the world. We must load, process and sell [them]. " However, these ambitious projects turned out to be difficult to implement, at least in a legitimate and transparent manner that the officials promised. The production capacity of meat processing and dairy plants quickly became saturated. In addition, any radical increase in the export of food products might cause a deficit in the domestic market. Lukashenka had to recognise the complexity of the situation at a government meeting at the end of 2014: "Even if we wanted to, we cannot import more meat and milk today for the transformation that we brought from the West [before], because we do not have any spare capacity." However, these difficulties never stopped Belarusian entrepreneurs. Many of them engaged in outright smuggling trying to bypass sanctions on a scale, which can hardly exist without the tacit consent of top-ranking officials. The open border between Belarus and Russia has definitely facilitated these projects. A week after the introduction of the embargo, the Russian Federal Service for Veterinary and Phytosanitary Surveillance (Rosselkhoznadzor) reported the first attempt to bypass the embargo from the territory of Belarus. Russian inspectors stopped a lorry with 19 tons of Ecuadoran peaches and nectarines accompanied by forged phytosanitary certificates issued in Belarus. Initially, Rosselkhoznadzor tried to solve the problems of smuggling "in family", without much publicity. However, the negotiations failed and by the end of September 2014 the patience of the Russians ran out. Rosselkhoznadzor began reporting on the attempts of Belarusian businesses to circumvent the embargo on an almost daily basis. The web site of Rosselkhoznadzor has been running what resembles a battle-field situation reporting about attempts to import products "of unknown origin" without certificates or food coming from embargoed countries and accompanied by Belarusian certificates. Thirty tonnes of potatoes, twenty tonnes of tomatoes, forty tonnes of pork, eighteen tonnes of grapefruits, two tonnes of beef … However, the true scale of contraband certainly exceed these figures, given the extent of corruption in Russia. In November 2014, Rosselkhoznadzor started a trade war with Belarus by banning imports of meat and dairy products from twenty-three Belarusian producers. Moscow also prohibited the transit of Western food products to Kazakhstan through the Belarusian and Russian border. Belarus and Russia de facto reinstalled customs controls on their common border. In retaliation, Minsk forced Russian trucks to spend long hours waiting at border crossing points. This brief trade war ended in December 2014 when Russia gradually recalled its import ban. Nevertheless, resourceful Belarusian entrepreneurs have not abandoned their efforts to supply the neighbouring country with European products re-labelled "Made in Belarus". In January – March 2015, Rosselkhoznadzor identified nearly 200 falsified phytosanitary certificates, which accompanied imports from Belarus. Belarusian attempts to substitute the Western food imports to Russia have brought uneven results. While for some positions there has been a spectacular increase in supplies, the most ambitious plans have failed to come true. In September 2014, an official of the Belarusian Ministry of Economy announced the country' intention to increase its food exports to Russia by $300m in 2014. In fact, the Belarusian supplies of food products to Russia increased only by 0.9%, which represented a growth of about $42m. In January – April 2015, according to Russian statistics, Belarus increased its share in Russia's imports of fresh and chilled beef from 76% to 90% compared to the same period of the previous year and cheese from 26% to 76%. However, in tonnes and dollars these exports grew very modestly. Belarus was more successful in its exports of apples, milk, cream, dried and salted fish to Russia. Last year, Belarus bought an additional 208 tonnes of apples from the EU and Moldova. Again, most of the fruit the country most likely re-exported to Russia, as its export to this country grew by 198 tonnes representing a 142% increase. Alongside with the direct re-packing and re-labelling, other transformations also took place. In 2014, Belarus increased its imports of fresh fish by 7.1 tonnes, mostly from Norway. The bulk of this surplus underwent transformation in Belarusian plants and went to Russia, as Belarusian exports of dried, salted and smoked fish grew by 6.2 tonnes. On 5 August, the Belarusian minister in charge agriculture and food Leanid Zajac claimed that the Russian decision to destroy confiscated Western products never affected Belarus and refuted all accusations of possible contraband. "We will ensure that our products continue to enter the Russian market without any interruption and that there would be not one iota of doubt in our products' country of origin and quality", he said. The Belarusian success story in becoming the primary beneficiary of the Russian food embargo has been a complex mixture of hard work, honest entrepreneurship and cunning scheming. But even with this combination Belarus gained less from the Russian embargo that it had initially hoped.